DJI on Sunday introduced the Matrice 600, its next-generation aerial platform, marking a new era for professional aerial photography, filmmaking and industrial applications. The M600 integrates DJI’s brand-new A3 flight controller onboard and features advanced Lightbridge 2 video-transmission technology that offers high frame rates and HD live-streaming capability at distances up to five kilometers. The M600 is a six-rotor system with a maximum payload of 6.0 kilograms, making it ideal for the full range of DJI’s Zenmuse gimbals, including the Z15 series and the Zenmuse X series cameras, which are unmatched in providing stabilized aerial imagery. The M600’s carrying weight also allows it to fly the Ronin MX, DJI’s newest handheld and aerial three-axis gimbal. The M600’s propulsion system is dustproof to simplify maintenance and increase durability. It has actively cooled motors for more-reliable flight, and its landing gear is retractable for full 360-degree, unobstructed imaging. The M600 is powered by six DJI Intelligent Batteries. The customized battery-management system and power distribution board allow all six batteries to be turned on and off with the push of one button and keep the system aloft, should a single battery fail. The M600 will fly up to 36 minutes with a Zenmuse X5 camera attached and up to 16 minutes with a larger camera, such as a RED EPIC. Flight time will vary for different cameras, gimbals and a number of other conditions. Setting the M600 apart is its integrated A3 flight controller. It uses sine-wave-driven, intelligent electronic speed controllers to ensure the M600 performs accurately, safely and efficiently. Meanwhile, self-adaptive flight systems adjust parameters automatically, based on different payloads. 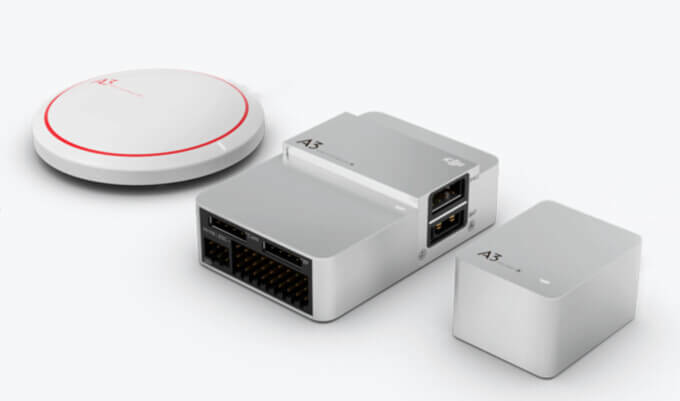 It’s upgradable to the A3 PRO system, which features advanced diagnostic algorithms that compare sensor data from three Global Navigation Satellite System (GNSS) units and three inertial measurement units. The A3’s GNSS system can also be optionally upgraded to DJI Real-Time Kinematic technology, offering centimeter-accurate positioning to allow for complex maneuvers in an industrial setting and so that cinematic shots can be precisely replicated. The RTK technology can also withstand magnetic interference. The M600 supports the DJI GO app, which includes a live video feed, battery and redundancy status, transmission strength and other data to keep the user informed of flight status at all times. The app also provides access to aperture, shutter speed, photo and video capture on any Zenmuse X-series camera, plus remote focus on the Zenmuse X5 and X5R cameras. The M600 is a top-quality development platform, compatible with the DJI Onboard Software Development Kit and Mobile SDK to work with different industrial applications. It has dual parallel CAN and API ports for connecting DJI devices, including the Guidance sensor system, RTK GPS units or third-party components. The M600’s retail price, including the integrated A3 flight controller with Lightbridge 2 and a full set of batteries, is $4,599. 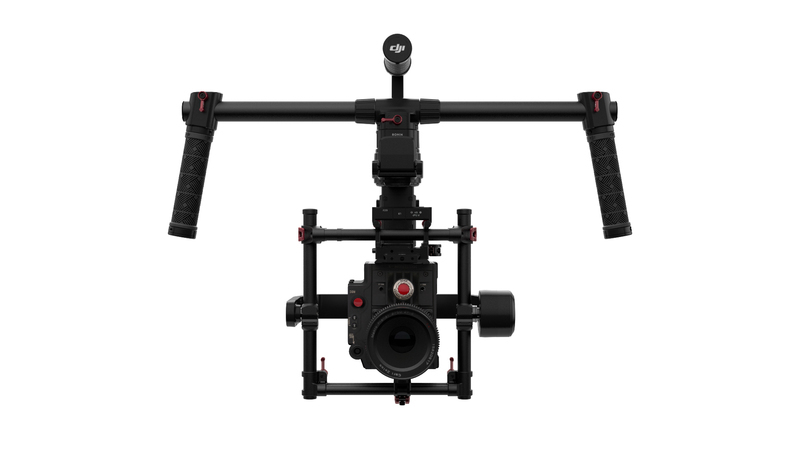 When paired with the new DJI Ronin-MX, the M600 offers best-in-class three-axis aerial video stabilization. 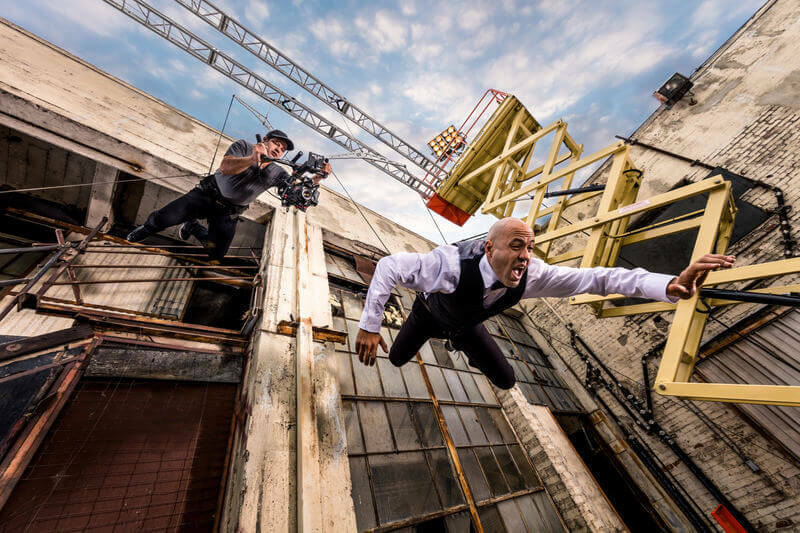 The latest in the Ronin line is also the most-versatile, working both on the ground and in the air with minimal setup. The Ronin-MX works perfectly with the M600, as a fully integrated system that includes the A3 flight controller, Lightbridge 2 transmission system and gimbal in the air. It’s the first universal aerial gimbal DJI has made that communicates with the onboard DJI flight controller. It’s fully compatible with a rich selection of DJI accessories for long-distance focus and aperture control and features remote start/stop controls and video transmission. The Ronin-MX is built for convenient, handheld use, but it also has multiple operation modes, including underslung, upright and briefcase. Apart from the M600, it’s also compatible with video cranes. The Ronin-MX has a built-in, independent IMU module, a Bluetooth module and a 2.4GHz receiver. It operates through the DJI GO app and has settings for SmoothTrack and gimbal-tuning for various cameras, including some of the RED series, DSLRs and other professional camera. It also operates in multiple modes, including aerial and car mount. Mounted on the M600, the Ronin-MX’s CANBUS port allows all flight controller data to pass through to the Ronin-MX, meaning the gimbal is positionally aware and able to keep the horizon level. The Ronin-MX can pan 360 degrees, tilt +45 to -135 degrees and has redundant slip rings, offering enhanced reliability for operators. With an optional accessory, the Ronin-MX can transmit video real-time from a mounted camera, making full use of the M600’s Lightbridge 2 capabilities. It will also be compatible with the DJI Focus, through a wireless adapter mounted to the Focus remote. The Ronin-MX is powered by a 4S Ronin-M battery. Third-party cameras mounted on the Ronin MX can be powered by an optional onboard DJI battery. The Ronin MX is compatible with a wide range of cameras from Arri, Black Magic, Canon, Panasonic, RED, Sony and Nikon. Its maximum load weight is around 4.5 kilograms. The Ronin MX retails for $1,599. Bundled with the M600 and integrated A3 flight controller and Lightbridge 2, it will sell for $5,999.